Inertia dictates that all manner of objects will collect in the corners of one’s life. 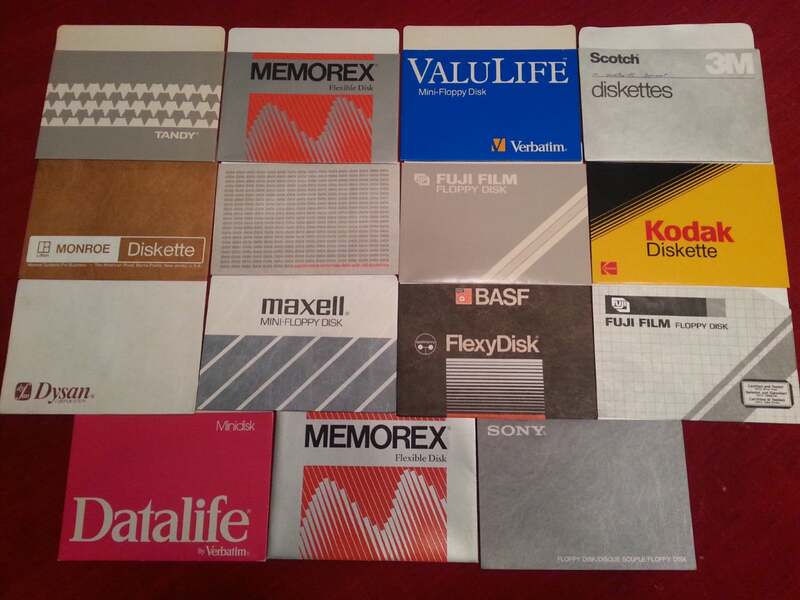 I’ve been in my office working on rebuilding my daughter’s desktop computer, and while looking for a particular installer CD I came across a shoebox holding some retail floppy disc boxes. One contained archival backups of several novels and assorted other early writings. And two were stuffed full of empty 5.25″ sleeves from assorted brands. It must have made sense to me to have some in reserve so no floppy would ever go naked. But 40+? Inertia again, I suppose. For the nostalgia value, here’s a photo with some familiar and some nearly forgotten names.